Coventry and Warwickshire Chamber of Commerce offers a range of workshops and one-to-one coaching, the support is funded by the European Regional Development Fund on behalf of Warwickshire County Council. These workshops are currently funded therefore there is no cost to attend. If you would like more information please call the Start-up Team: 02476 654321 or email [email protected]. The service includes a range of workshops and one-to-one coaching; the support is funded by the European Regional Development Fund. A number of workshops are being run around the county to provide you will help and advice on starting your business. Full details of the workshop programme can be found via the Chamber of Commerce website. 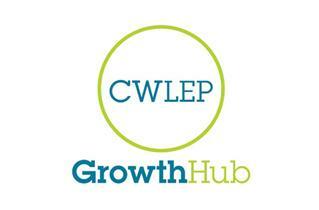 CWRT are working with Warwickshire County Council to deliver a package of pre-start engagement and specialist business support for clients in Nuneaton and Bedworth who experience barriers to enterprise. and signposting to other appropriate agencies. We also work in partnership with Coventry and Warwickshire Reinvestment Trust to deliver a small business loan scheme. There is also a range of other financial support available. See our Business grants, loans and finance page. We can provide information sheets on all aspects of starting and running a business including business types and sectors, legal and tax issues and other essentials, please see documents and downloads on the right. Prince’s Trust – Are you aged 18-30, unemployed, have an idea for a business but can’t raise all the cash you need? Start-up support from The Prince’s Trust could help you get up and running. Business Centres – Warwickshire County Council provide over 200 individual units, situated throughout the county. These units are available on flexible terms – either a 28-day licence or a 3-year business lease. Finally, there are also other resources available. Cobweb information on start-up business – Cobweb is a resource for starting and running a business. Starting Up – Advice on all aspects of starting up a new business from naming your company, to understanding the European market.